At this point the beta is rolling out in a limited fashion, and will only be available to those with devices running Android 4.2 or higher. Aereo uses small antennas to provide broadcast programming to its subscribers. The app allows users to receive the major broadcast networks and local channels they would get at home directly to their devices. The service is currently only available in a limited number a markets though, only those in New York City, Boston, Miami, Atlanta, Dallas, Houston, Salt Lake City and soon to be included Detroit (coming on October 28) have access to the real TV programming. It also features DVR functionality with up to 20 hours of recording (also in limited markets). As you might imagine with a service of this nature, Aereo has landed themselves on the receiving end of a number of legal battles with the major TV networks. So far so good though, attempts to shut the service down have been futile with the courts ruling in favor of the broadcast TV streaming company. 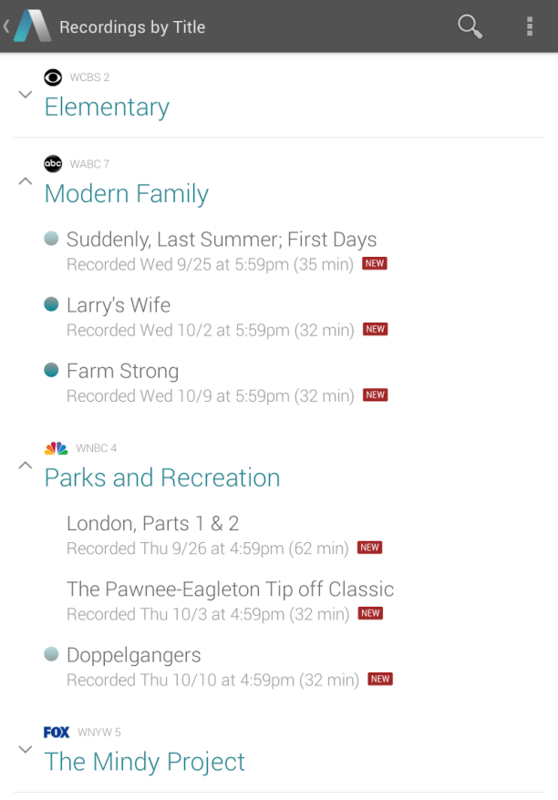 You can download the new Aereo Android app now through the Google Play Store. The service requires a membership, which will run you $8 a month (plus tax), but you can grab your first month free if you "join now." Be sure to double check with Aereo's official coverage page to ensure your desired area is supported.